Bratislava, Slovakia (November 15, 2018) — Today, Resco, a leading provider of enterprise mobile platform, announced it will deliver a robust mobile solution for Microsoft Dynamics 365 for Field Service. 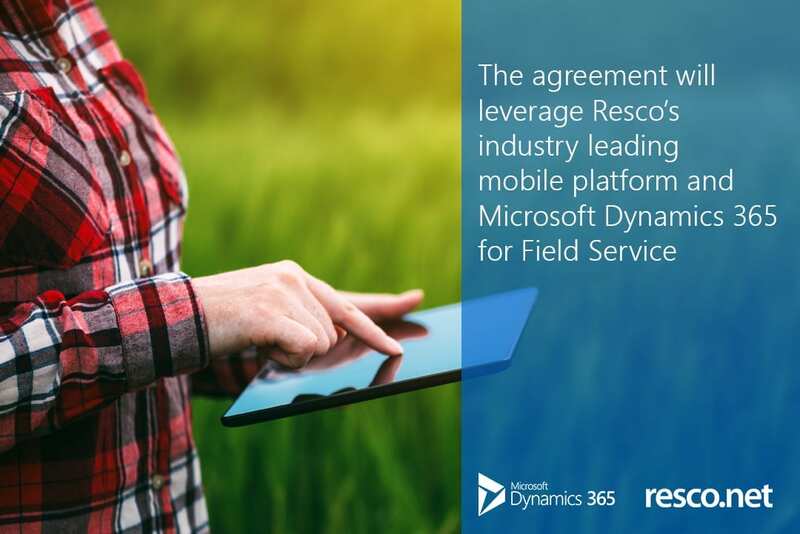 The combination of Dynamics 365 for Field Service and Resco’s mobile platform will enable customers and partners to receive a quality mobile solution. Resco’s commitment to create and provide the best mobile business application platform is crowned with the new multi-year agreement with Microsoft. I am very excited for all customers of Microsoft Dynamics 365 for Field Service who will benefit from our leading mobile technology as part of the Field Service Mobile experience and to see Resco’s central role in digital transformation of the companies around the globe. said Radomir Vozar, Resco CEO. Integrating Resco’s mobile platform to Dynamics 365 enables our field service customers to have a proven, supported solution for their field service users. In addition, our field service customers also have the benefits of receiving ongoing Resco.net mobility innovation and updates. said Kyle Young, Dynamics 365 for Field Service Product Leader at Microsoft.